ECCO golf shoes are well known for their cross between looks, comfort, and performance. To produce those traits, ECCO uses top-of-the-line material and construction. ECCO incorporates these methods in their latest releases to make some of their best performing, most comfortable shoes yet. Here are the details for each shoe. The ECCO Cage Pro is the newest hybrid shoe from ECCO. The spikeless shoe uses a lightweight, soft Dritton leather upper, making it breathable. The leather is treated with ECCO’s patented Hydromax technology, giving the shoe water-resistance. A cage around the heel gives the ECCO Cage Pro more stability throughout the swing. The sole of the Cage Pro is its most unique feature. 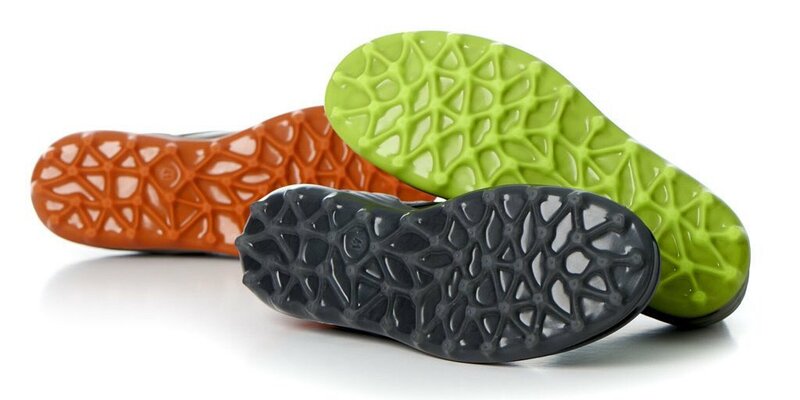 ECCO calls the revolutionary pattern “Spydr-Grip” technology. Naturally-placed pivot points, resembling a spider web, provide the wearer with excellent grip. A removable, comfort fibre insole gives the luxury of adding width, should you need it. The ECCO Cage Pro is also available with a BOA lacing system. 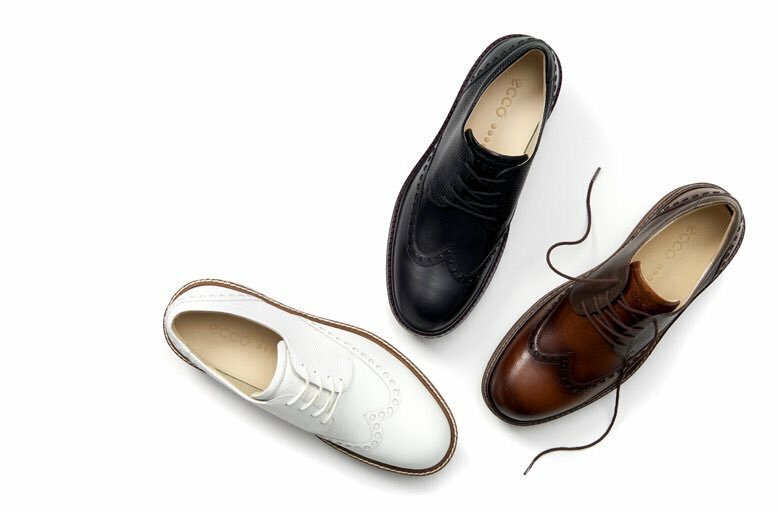 Epitomizing style and luxury, the ECCO Golf Lux’s classic wing-tip design packs performance and looks. The spiked shoe is covered with leather for a rich look. 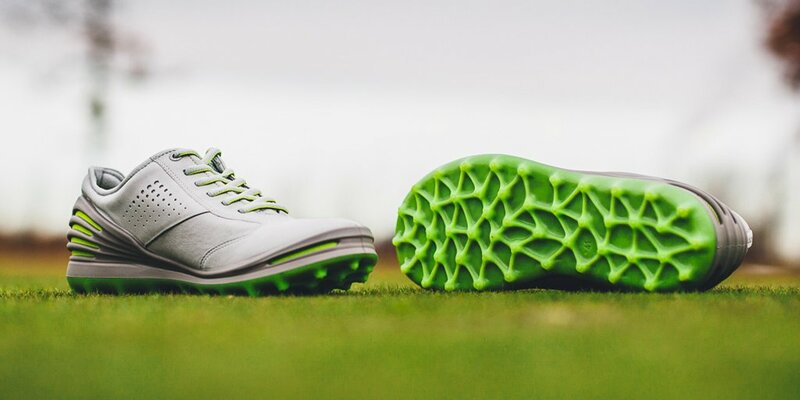 The Golf Lux uses a perforated leather liner, helping your feet stay cool. 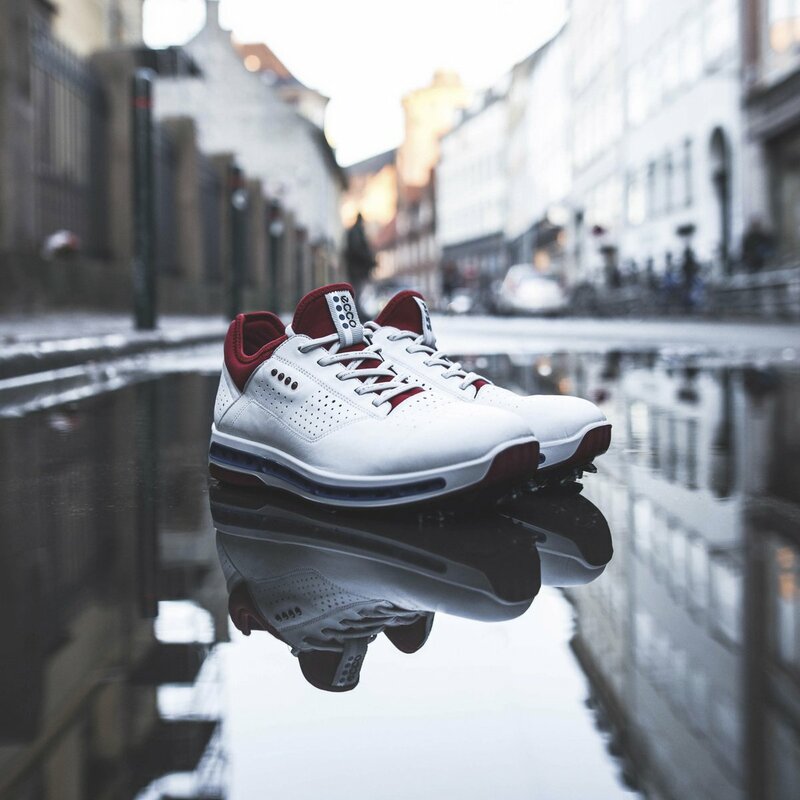 ECCO treats the Golf Lux leather with Hydromax, which resists moisture and sweat. To get more width in the shoe, simply remove the leather inlay sole. All these features keep your feet cool, dry, and comfortable. Don’t be fooled by the unique look of the ECCO Cool 18 GTX. This shoe has serious performance features. The Cool 18 GTX’s bold look combines sports technology with comfort, giving you all-day wearability. The first feature catching the eye is the sole design. An advanced air channel system lets air flow completely around your foot without sacrificing the next feature. Your feet stay dry all day thanks to the trademarked GORE-TEX SURROUND technology on the upper. 100% of the upper material is waterproof. ECCO also constructs the upper with the breathable Dritton leather. By using unique materials and revolutionary design elements, the latest ECCO golf shoes deliver style, comfort, and performance. Try a pair for yourself. Your feet will thank you.